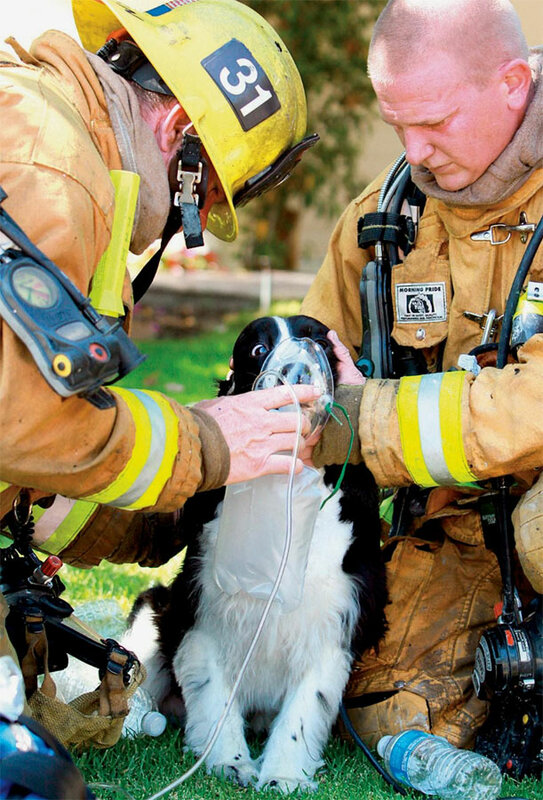 Ventura County firefighters Mike Hansen, left, and Brad Paige administer oxygen to a dog rescued from a house fire Monday in the 500 block of Harwood Lane in Thousand Oaks. The fire department responded to a two-story structure fire at about 2:20 p.m. Paige, a Camarillo resident, graduated two weeks ago from the VCFD Training Academy. The single occupant of the home was taken to Los Robles Hospital and Medical Center for examination and was later released.